Athletes aren’t just winning gold, silver and bronze at the Olympics and Paralympics, they’re also flashing some pretty expensive jewellery. We’ve listed our three favourite athletic stars and their signature jewels. Who were you cheering on in London and do their fashion choices influence you? 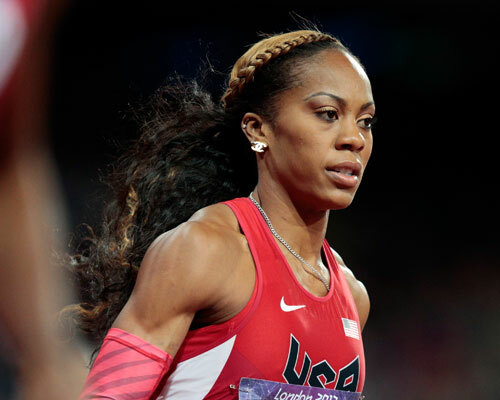 Track and field star Sanya picked up her iridescent pink and green Chanel earrings before the London games. She claims that if she’s wearing clothes that make her feel good, then she runs a good race. Her earrings made into the daily headlines, as did her curly ombre blonde-and-black hair. Tresor Paris gifted the 100m and 200m two-time Olympic champion with a bracelet that celebrated Jamaican independence. The coloured stones represented the black, yellow and green of the Jamaican national flag. The bracelet is said to bring good luck. We can’t think of any athlete more beloved to their home country, and a symbol like this is part of the reason Bolt is so popular. Michael Phelps has topped off his astounding achievement at the London games by pulling in even more endorsements. 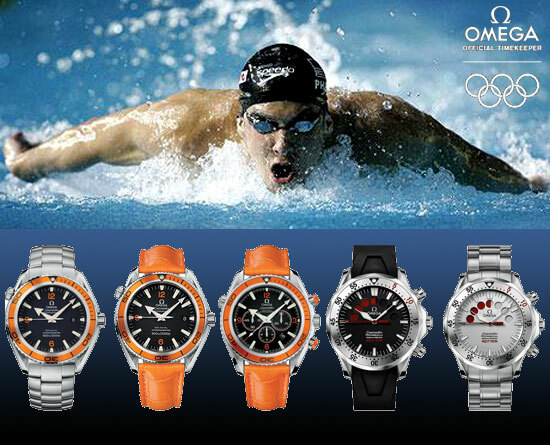 Phelps was seen out on the town in London sporting some very fancy Omega wristwatches, for whom he is a brand ambassador. Omega watches are available to purchase from watches-of-switzerland.co.uk. Omega were also the official timekeepers of the games. Athletes are keen to show off their taste and personalities in order to increase their brand power and endear themselves to people who are not yet fans of the sport. Sports are typically thought of as being about uniformity and perfection, but there’s nothing to stop these stylish athletes showing the world their good taste in bling and baubles.